PLA presented 22 awards and 7 Honorable Mentions, plus one Partners Choice Award, at our 2019 Convention and Trade Show. Read the full press release here. Join fellow convention participants and exhibitors for dinner and the announcement of the 2019 Partnership Award Winners and Honorable Mentions. Ticket price includes a three-course meal. A cash bar will also be available. Stay at the Sheraton Denver Downtown Hotel and use your confirmation number to purchase a discounted ticket! At the 2019 awards banquet, it's geologic wonders meets rock and roll. Pick your favorite gemstone or mineral to celebrate the rich geologic diversity of Colorado and dress up as your favorite rock star. With over 200 geologic specimens in the state of Colorado and 60+ years of rock and roll, we are sure you'll think of something great. David Bowie in diamonds, perhaps? How about Tina Turner rocking out in gold? 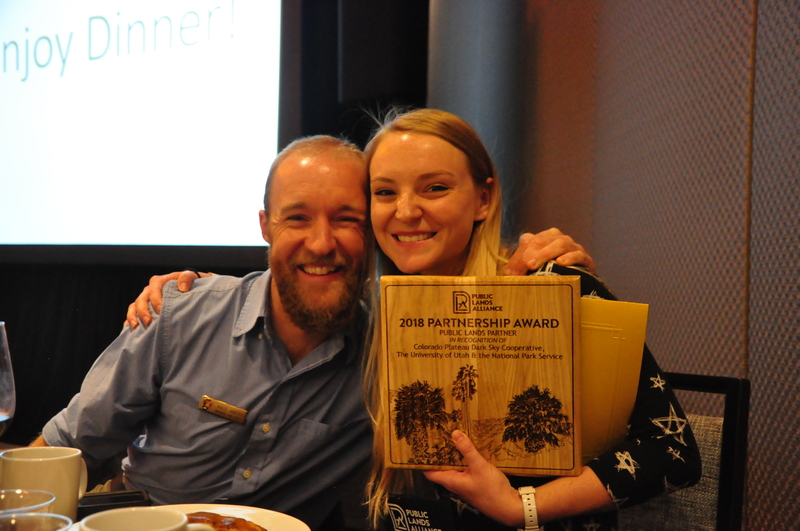 Choose your favorite combination and join us as we celebrate the true rock stars of public lands during our awards ceremony and closing banquet. Sponsorship opportunities are available for the Closing Banquet. Click here to learn how your company can elevate your brand while supporting this fun dinner for convention participants.